I haven’t posted a new General Conference activity for a little while, so I decided I needed to come up with something new. 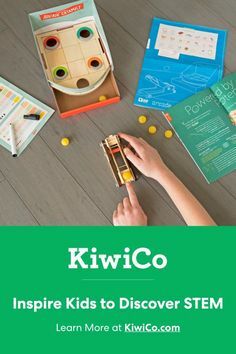 I decided to think of something my children would enjoy, since that’s who I usually create these activities for. 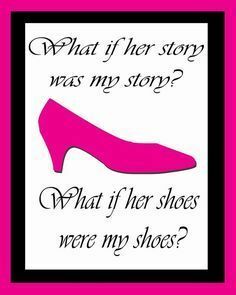 I decided to think about things that my children enjoy…games, activities, etc. One thing that they always enjoy is using glue sticks. I don’t know what it is, but if I have a glue stick laying around my girls will find it and use the entire thing. I have created a few different pages that you could use. If you don’t want to do the whole ‘file folder’ thing, that’s ok! I created a sheet that could work without the file folder. The picture above is pretty self explanatory, but just in case, here’s an explanation of my Conference Notes File Folder Activity. Enjoy! The idea of my activity is to watch who is speaking and listen to what they are saying. As each new speaker speaks, the children will find the picture of that person and glue it above the picture of the podium. They can then fill in the speech bubble with words or drawings of things they hear. There are also a few additional lines for other notes they may want to write down. Below that section is a section labeled “What Was Said?” This section will be where they glue pictures of words they hear during each talk. You could also print these onto sticker paper. Then they can use them just like stickers and ‘stick’ them into this section. I also created a similar page, but instead of the speech bubble and note lines I added a picture of a tie. I have a daughter that isn’t writing yet, so I thought she would enjoy drawing/coloring each of the men’s ties as they spoke. 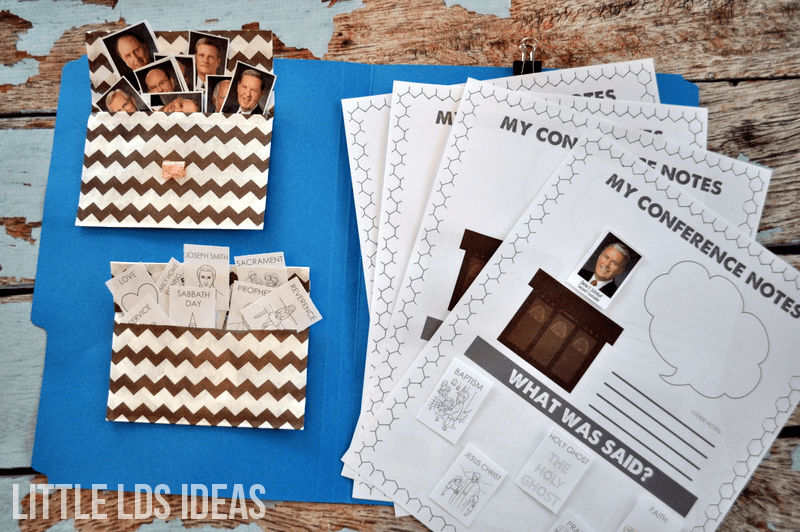 If you would like to create your own File Folder activity, then here is what you’ll need. In the picture above, you will see the I didn’t glue “My General Conference Notes” sheet to my file folder. I figured they would be using several pages of “My General Conference Notes,” so I just used a binder clip and clipped several sheets to the folder. On the other side of the folder you will need 2 envelopes or pockets for all of your pictures. One pocket will be the “Apostle Pocket & other General Authorities” and the other pocket will be the “Topic Pocket”. Just print out my Topic Picture printable and then cut them out. You will also need to print out all of the General Authority pictures, you can find that HERE, on LDS.org. 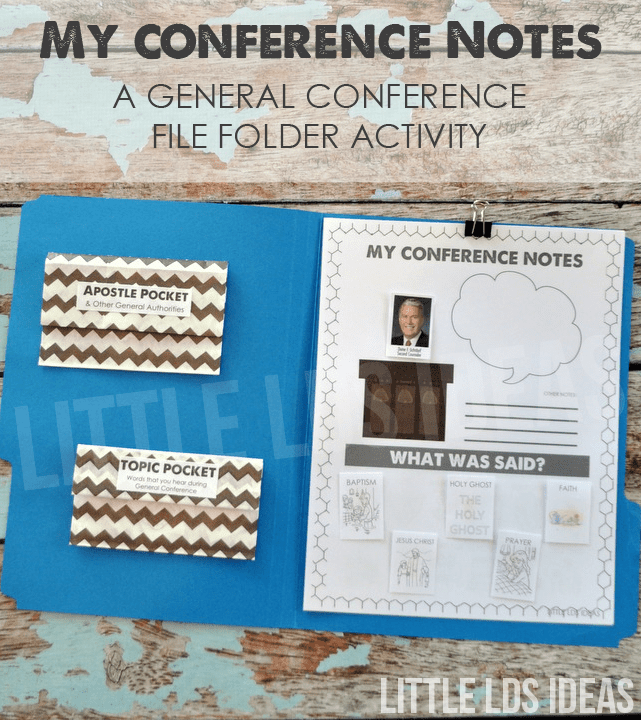 Once you’ve got everything together you will have a great General Conference File Folder activity for your children! Another idea that you could do to save on printing…laminate the sheet! Then instead of gluing just use velcro,tape, or that sticky puddy stuff to attach each of the pictures. Give them a dry erase marker that they can use to draw the tie or make notes. 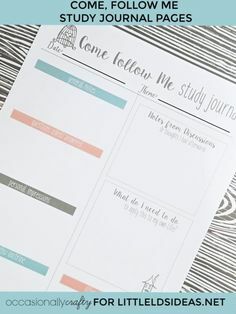 If you like the laminating idea, but would like to be able to keep their notes, you could give them a small notebook and ask them to write down things they hear. Alright…now what if you aren’t into the whole ‘File Folder’ thing? I know we’re all busy, and we might not have enough time to put all this together or to cut out all those little pictures. No worries! I’ve got you covered! Here’s some sheets that you could use as is. You can choose to print out the Apostle pictures or just have your child draw each person. 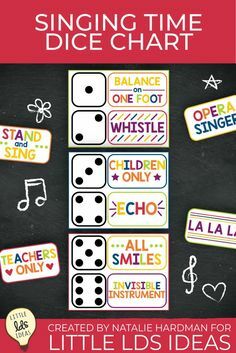 Then have them circle, ‘X’, or place a sticker over the words that they hear during each talk. Again, you could also laminate this sheet if you don’t want to print out a whole bunch of sheets. 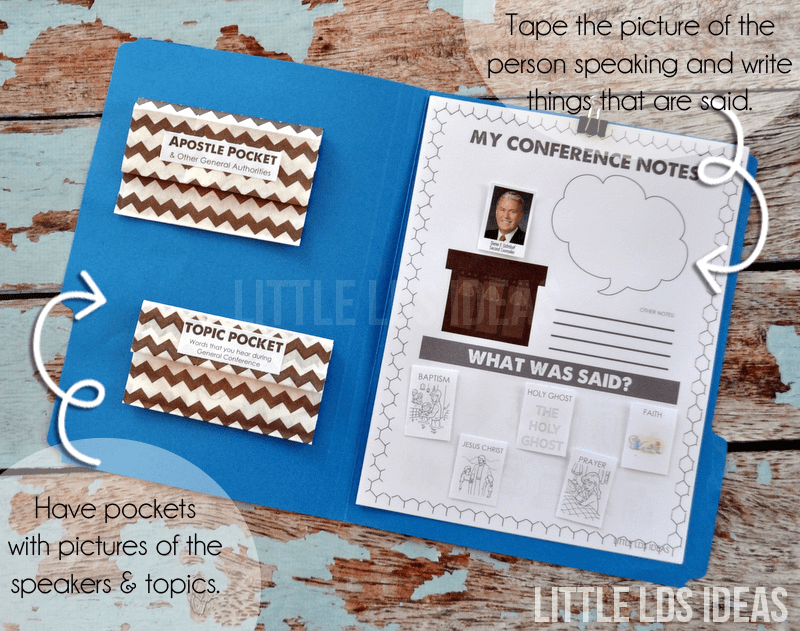 Would your children enjoy their very own “My Conference Notes: File Folder Activity”? Just click the links below to access each of the printables. Click HERE to print ‘My Conference Notes’ page. Click HERE to print ‘My Conference Notes’ page with tie. Click HERE to print ‘My Conference Notes’ page with topics on bottom. Click HERE to print ‘My Conference Notes’ page with tie and topics. 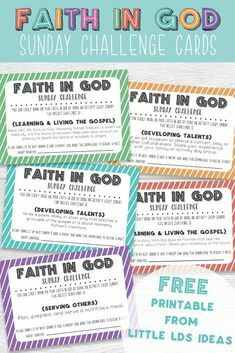 Click HERE to print my General Conference Topics printable. 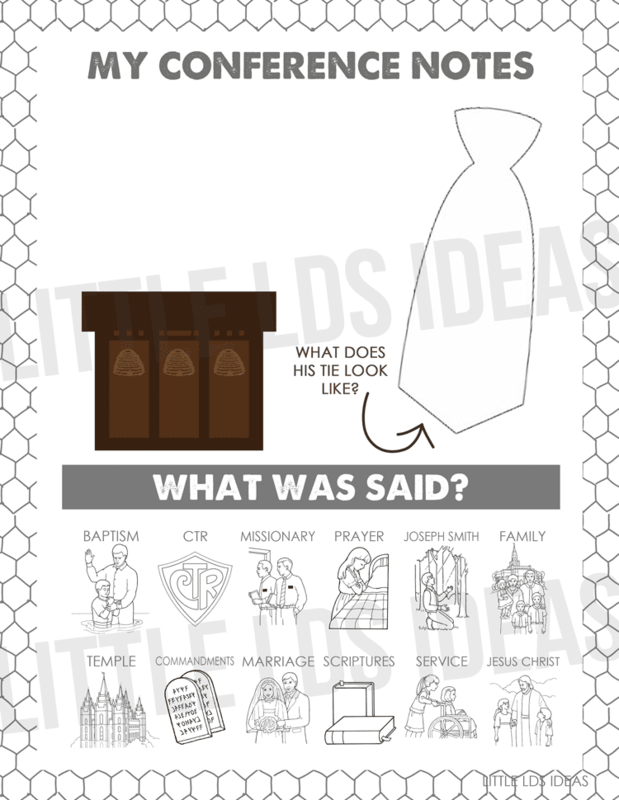 I previously shared some General Conference I Spy sheets I created. I have updated 2 of the sheets. If you’d like to take a look at them then click the links below. Click HERE to print my Conference I Spy sheet 1. 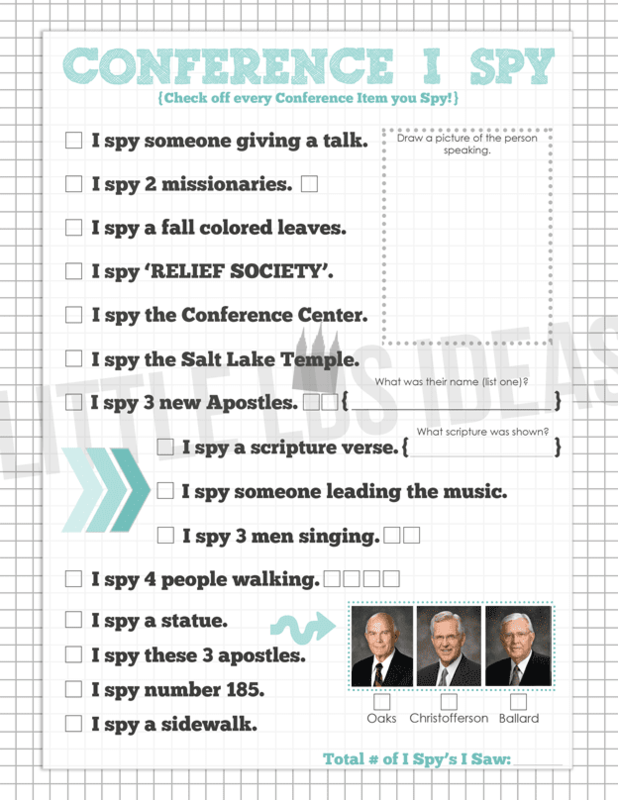 Click HERE to print my Conference I Spy sheet 2. Thanks so much for stopping by! Have a wonderful day. I love these great ideas! I have done Conference Bingo for years (starting when I was a child myself, and continuing it with my kids). We also play with Legos during the sessions. But this year my husband and I wanted to change it up. 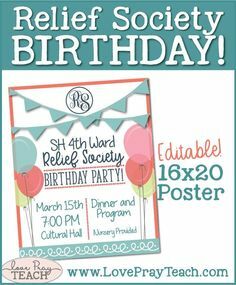 All of your printables are so wonderful! I’m excited to use many of them! Thank you for making these available for us! Thanks so much for this! 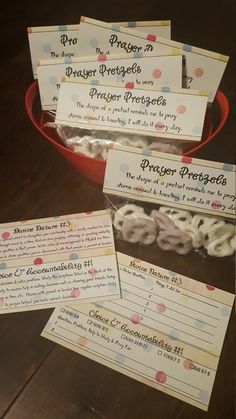 This is perfect for my kids and I just printed it out to use for conference this year! Thanks, HW! 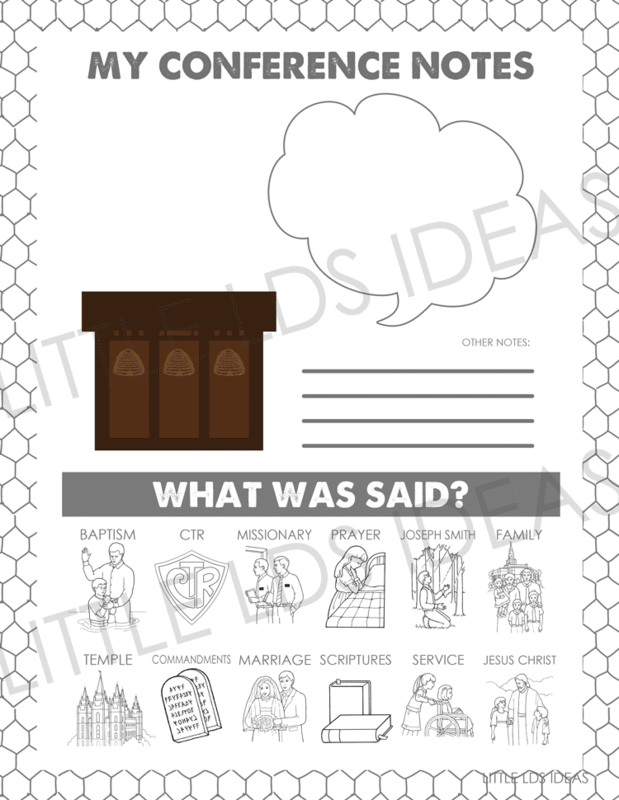 I’m so glad to hear that you will be using my printables for General Conference this year. My daughter has been dying to get her hands on the one I made for her. I think that’s a good sign. 🙂 Thanks for the comment! Any thoughts on how many copies of the notes page you are going to include? And same with the little topic pictures, are you putting more than one set in each file? I used your “I Spy” last year and loved, I want to use this one too but I’m just trying to figure out logistics. Thank you! These are the best packet/folder type activity I have ever seen for Conference. These will be perfect for both my 6 and 2 year old. I’m excited for a more meaningful conference weekend for our entire family, and not just a game of keeping them busy so I can listen 😉 I may even try them for Sacrament meeting. Subscribe to my newsletter to get the latest ideas in your inbox! The products/services offered by Little LDS Ideas are neither made, provided, approved nor endorsed by Intellectual Reserve, Inc. or The Church of Jesus Christ of Latter-day Saints. Any content or opinions expressed, implied or included in or with the goods/services offered by Little LDS Ideas are solely those of Little LDS Ideas and not those of Intellectual Reserve, Inc. or The Church of Jesus Christ of Latter-day Saints. I love when others enjoy my ideas and want to share them with others. If you do, I simply ask that you link back to the original post. All images are copyrighted, but feel free to use one image as long as you do not edit, crop, or change it in any way without written permission. 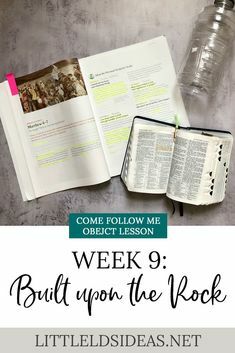 The ideas that I share on Little LDS Ideas are NOT intended for re-sale. If you have any questions feel free to email me and ask. Thanks!